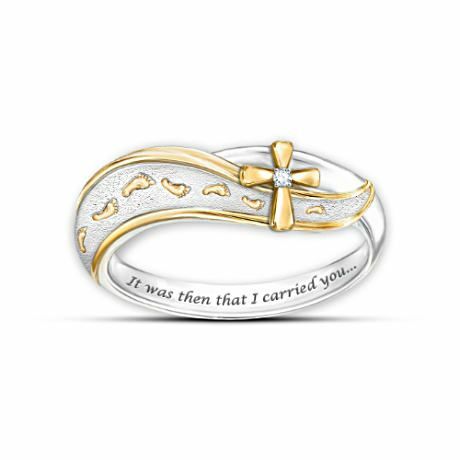 With a custom design that beautifully illustrates the beloved poem, this ring is the perfect reminder of God’s eternal love. 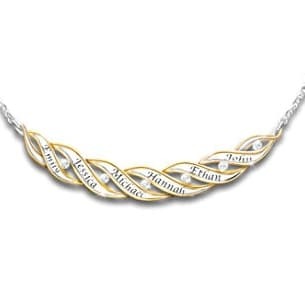 Expertly handcrafted in solid sterling silver, it showcases a unique infinity-wrap design with a flowing florentine-finish silver path and 18K gold-plated footprints and trim. An exquisite 18K gold-plated cross adorns the center of the path, set with a sparkling genuine diamond.